Emed > News > Do Double Mastectomies Prevent Cancer? Did Angelina get it wrong? New research is suggesting yes. For most women with breast cancer, there doesn’t seem to be a significant survival benefit from having their healthy breast removed as well, new research suggests. The new study is published July 16 in JNCI: Journal of the National Cancer Institute. “We found fairly convincing evidence that there really is no meaningful long-term survival benefit for the vast majority of women with breast cancer by having their opposite breast removed,” said study researcher Dr. Todd Tuttle. He is chief of surgical oncology at the University of Minnesota School of Medicine. Tuttle’s team tracked survival over 20 years for more than 100,000 women with stage I or stage II breast cancers. The researchers then used a model to simulate survival results in women who had prophylactic mastectomy and those who did not. The survival benefit between women who’ve had a preventive mastectomy and those who kept their healthy breast was less than 1 percent. In recent years, more women with cancer in one breast have been choosing to have the other breast removed as a precaution – known as a prophylactic or preventive mastectomy. It’s important to note that none of the women in this study had the so-called breast cancer genes known as BRCA-1 and BRCA-2. These genes significantly increase a woman’s risk of breast and ovarian cancer. Fear and misinformation are the drivers behind the ‘preventative mastectomies’. Instead of allowing fear to rule the minds of these women, prevention strategies should be encouraged. Exercise increases breast cancer survival rate by 45%. Aerobic exercise also reduces the risk of breast cancer development, by changing the metabolism of oestrogen by increasing the ratio of ‘good’ to the ‘bad’ oestrogens. Diet! Cruciferous vegetables like broccoli, cauliflower, brussels sprouts, kale, cabbage, and bok choy, which provide indole-3-carbinol (I3C), a phytonutrient which helps metabolise oestrogen. Quit smoking. Latest research links a 24% increase in breast cancer amongst smokers. Avoid alcohol. Alcohol changes the way oestrogen is metabolised in our body, which can lead to oestrogen dominance. Women who drink alcohol have higher body oestrogen levels than those who don’t. Get some sleep. Getting at least 7 hours per day reduces the risk of aggressive forms of breast cancer in women. Can We Predict Breast Cancer Through Testing? Yes! Along with assessing other breast cancer risk factors like diet, exercise and lifestyle, we can test for how well you are metabolising your oestrogen hormones. Basically there is a ‘good’ metabolite called 2-hydroxyoestrone (2-OHE1) and a ‘bad’ metabolite 16a-hydroxyoestrone (16a-OHE1). High levels of 16a-OHE1 have been found to be associated with oestrogen-dependent cancers such as breast, head, neck and prostate. Emed 2 & 16 Urinary Oestrogen Metabolites test is an easy to do urine test which you can do in the comfort of your own home. For more information or to purchase this test, click here. Components in vegetables in the cabbage family, particularly broccoli, help to reduce 16a-OHE1 and increase 2-OHE1. Sometimes food is not enough to correct the imbalance initially so supplementation with products containing high levels of sulphorphane are needed. Once the optimal hormone balance is achieved diet alone is often enough to maintain it. Cell-Logic EnduraCell Plus is a broccoli sprout powder supplement. The bright green sprouts of broccoli contain bioactive compounds which have been shown to intervene beneficially at several levels in human chemistry, including the metabolism of hormones. Diet, exercise and smart supplementation is the key to preventing reoccurrence of breast cancer. Take a read of the articles below to find out how you can reduce your risk of breast cancer and its reoccurrence. If you are looking for a tailored treatment plan, talk to your Emed Practitioner today. Your headline ” did angelina get it wrong” is pretty upsetting. No she didn’t. It is well publicised that she does have the BRCA gene. Pretty disappointed with this, I am one of your customers and have had breast cancer and mastectomies and usually read with interest your articles but I will have to reconsider my support. I am sorry to hear about your battle with breast cancer. I am also sorry that our article on double mastectomies has disappointed you. We like to keep on top of new research especially in the field of cancer and release this to our members in an easy to understand format. It’s hard to argue with a sample size of 100,000 people over the course of 20 years. This is very important research for anyone with breast cancer when they are considering treatment options. I’m sorry but I’m with Liz on this one ….I usually enjoy your articles but this is misleading in the extreme . Angelina is well documented to have a BRCA 1 mutation and so she made the difficult but wise decision to have a prophylactic mastectomy . Those women with a BRCA mutation are more statistically likely to develop breast cancer early and of a more aggressive subtype , often between breast screenings. The last line in the article mentions this very fact . To have Angelina’s face with the title saying ” Double Mastectomy Offers No Survival Benefit ” as if it applies to her is incorrect and misleading . It may In fact cause women with a BRCA Mutation some distress so I would suggest you remove any link to Angelina. This study also misses the point entirely that there are a myriad of reasons women ( without the BRCA gene mutation) choose to have a double mastectomy . They include symmetry and balance not to mention the anxiety of turning up year after year to have the remaining breast scanned. It’s not all about an expectation it will somehow improve survival .I would argue that it is not through ” fear and misinformation ” as you say. I think women are able to be more informed now than ever before and many are confident to actually exercise their choice for reasons other than just a fear of a new primary cancer . I agree strongly with the two comments above. Angelina does have the BRCA gene which means the study you spoke of and the comments of the oncologist cited have absolutely no reference to her or many other tens of thousands of women in the world in the same situation. As a result, this article is easily upsetting and insulting to these women. In my mind, the Angelina reference was totally misleading and inappropriate, not to mention provocative. 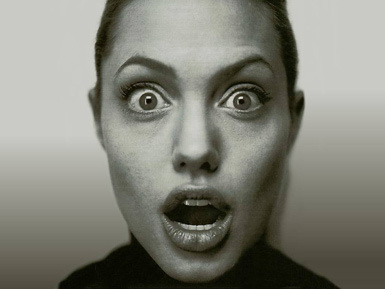 Using Angelina’s photo is an example of cheap marketing tricks that I wouldn’t have expected from Emed.